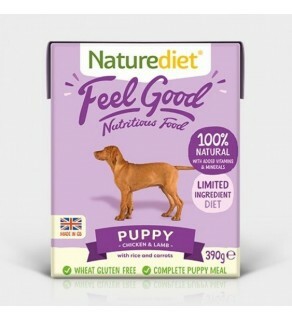 Feel Good Puppy provides all the protein and nutrients your puppy needs for healthy growth and development. 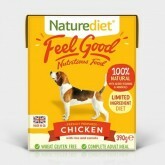 Our gently steam cooked recipe is prepared with ethically sourced premium British chicken and lamb, rice, carrots and potatoes, and includes dried egg for an extra boost of nutritious protein. 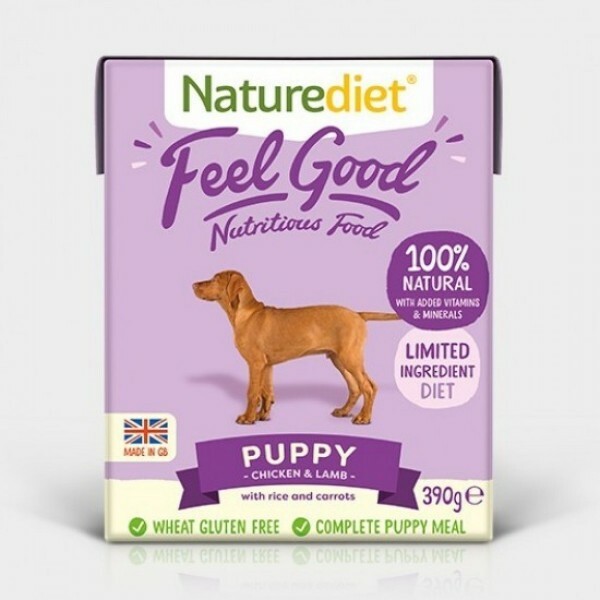 With no artificial ingredients or preservatives, Feel Good Puppy is an ideal complete meal to feed your puppy.